Join us for NASJE’s 2018 Conference! 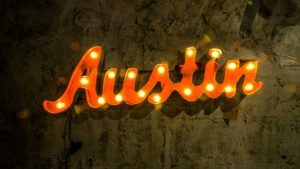 Polish up your cowboy boots, dust off your 10-gallon hats, and reserve August 26-29, 2018, for a Lone Star State welcome to NASJE’s 2018 Annual Conference to be held in exciting downtown Austin, Texas. 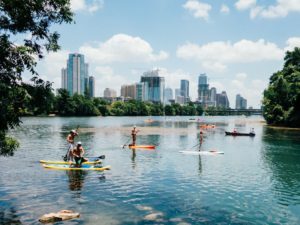 From our conference site at the Hotel Van Zandt in the up and coming Rainey Street District in Austin, we’ll explore some of the best that Texas has to offer. The conference committee, led by Jessica Forman of Texas, is busy cooking up an interesting array of educational sessions and entertainment options. Not familiar with Austin? Our motto is Keep Austin Weird and we do just that by highlighting all of the original artists, communities, and faces that call Austin home. Click the links below to learn more about Austin’s locals. Check out Visit Austin’s instragram which is filled with photos of people and places from around Austin. Meet some of the Visit Austin ambassadors who will tell you their favorite parts of the city. The Austin American Statesman interviewed dozens of notable Latinos in Central Texas for their thoughts and opinions on the impact of Hispanic culture in Austin. This ongoing interactive campaign highlights the multidimensional expression of Black life in Austin, Texas. One way Austin “Keeps it Weird” is by hosting a ton of unique festivals including a birthday party for the Eeyore character from Winnie the Pooh. Check the NASJE website out every few weeks for more teasers on Austin’s food, art, history, and culture, plus sneak peaks at the great educational sessions we have planned. We look forward to seeing you in August!